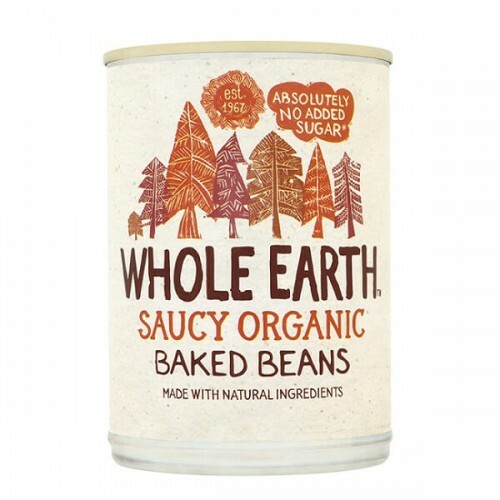 Made with organic plum tomatoes, organic haricot beans and Whole Earth's special recipe, this isn’t your average can of beans. With no hidden nasties and natural sweetness from organic apple juice, they're perfect for kids and are incredibly popular with our customers. Try them for yourselves and you will discover why. 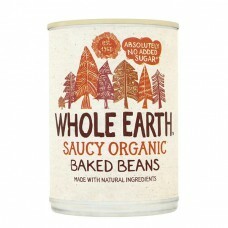 This bulk pack is really economical for those who just can't get enough of these beans.  Haricot beans* (49%), water, tomatoes* (13%), apple juice*, rice flour*, sea salt+, cider vinegar*, onion powder*, ground cinnamon*, dill*, garlic powder*, ocean kelp, nutmeg*, cloves*, cayenne pepper*, tamari soy sauce* (water, soya beans*, sea salt+, aspergillius orizae*). None - this product is gluten free. Hob: Pour into a pan, medium heat, stirring occasionally until desired temperature is reached. No boiling - it spoils the flavour. Microwave: pour into a suitable container and cover, full power for 2 minutes, stir then full power for a further 1 minute.